When will be The Detectives next episode air date? Is The Detectives renewed or cancelled? Where to countdown The Detectives air dates? Is The Detectives worth watching? The Detectives is a comedy programme that spoofs other cop programmes. 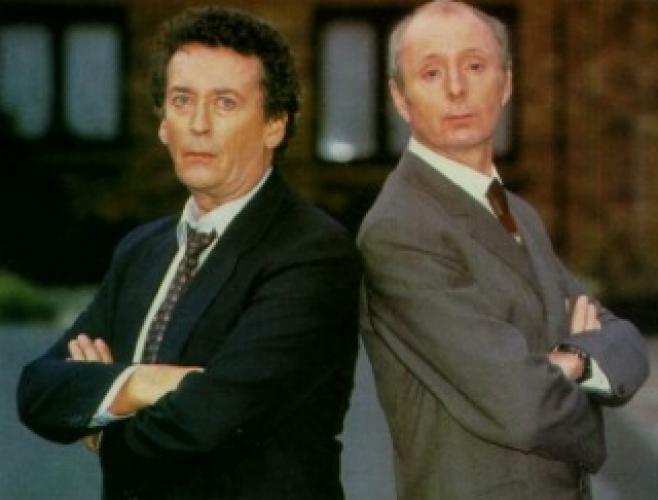 It features Jasper Carrott as Detective Bob Louis and his partner, Detective David Briggs played by Robert Powell, as well as their Superintendent, Frank Cottam, played by George Sewell. Both Louis and Briggs were fairly incompetent, but at the end of the episode had solved the crime hanging on to their jobs, nearly being fired fairly often. Louis was more downbeat, whereas Briggs tried to emulate the gung-ho cops shown on TV and in film. EpisoDate.com is your TV show guide to Countdown The Detectives Episode Air Dates and to stay in touch with The Detectives next episode Air Date and your others favorite TV Shows. Add the shows you like to a "Watchlist" and let the site take it from there.